For John Wesley, the Bible is the joyfully consistent testimony of God’s never-ending grace and ever-seeking love. Likewise, studying the Bible is more than merely knowing what Scripture says; it is also about living every day as a child of God. 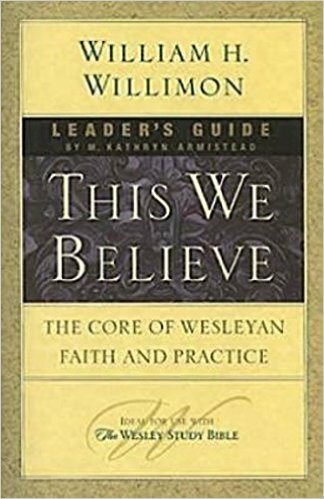 Beginning with the Core Terms found in The Wesley Study Bible, author Bishop William H. Willimon systematically lays out key Wesleyan tenets of faith so that you will have a fresh way to hear God’s voice, share in God’s grace, and become more like Jesus Christ.